used key | WIC Reset Utility. Reset the Waste Ink Pad Counters by WIC. I have Reset my printer but after 15 min counter is back 100%! 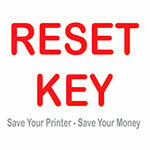 Posted in F A Q Tags: back 100%, Reset Key, used key Comments Off on I have Reset my printer but after 15 min counter is back 100%!